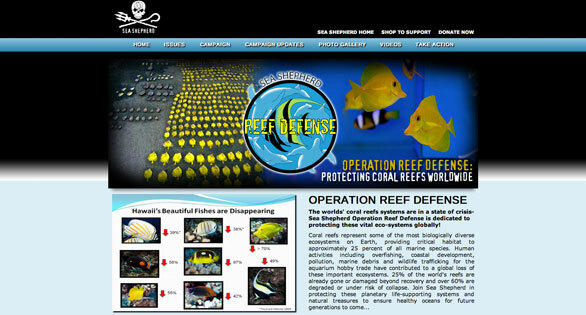 Sea Shepherd Conservation Society is proud to announce the launch of Operation Reef Defense, a global campaign to end the destruction of coral reefs and the many threats they are facing worldwide. Healthy coral reefs are disappearing fast — 30 percent of the world’s coral reef population has died in the last 50 years. Another 30 percent has suffered severe damage, and 60 percent could die in less than 25 years because of human-induced activities such as pollution, overfishing, reef wildlife trafficking, coastal development and global warming. “Sea Shepherd is very much concerned for this wildlife and needs your support to translate these concerns into action. We may lose support from people who keep captive marine wildlife for a hobby, but as always our clients are the creatures of the sea. So we hope that all people who are concerned for the sea will recognize the importance of protecting reef eco-systems worldwide, and that if any of our supporters do keep marine wildlife in an aquarium, they will care for the wildlife they have and refrain from purchasing any more” stated Wintner. 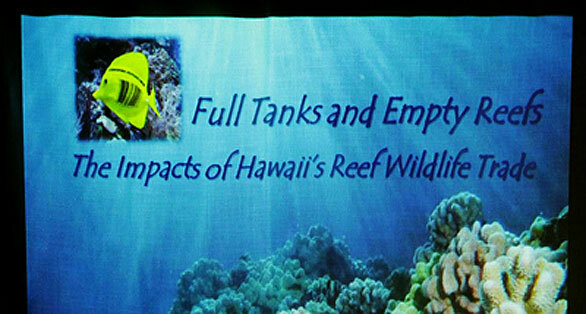 Operation Reef Defense Earth Day Launch included a presentation on reef wildlife trafficking for the aquarium trade at Deep Ecology Dive Center in Haleiwa, Oahu. I am passionnate by Nature since my youngest days, and this includes undersea life. I was mesmerized by the films of Coustaud and I am concerned with the destruction of natural undersea life. I recognize reefkeeping has become a trend and a huge trade has developped out of it… that’s why there must, for the places endangered, quotas and tight control on the wild collect. 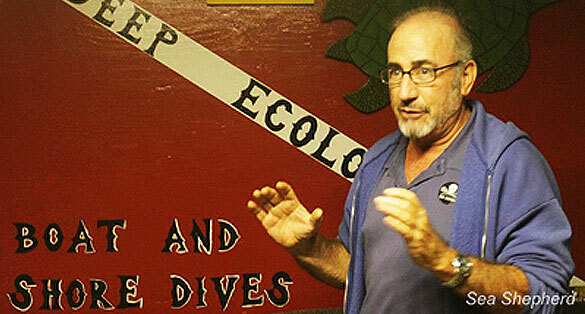 But what you cannot understand is that a large part of reefkeepers are concerned with this global issue. Of course, this trade must not endanger the undersea environnement, and that is why there must be some control over trade. But this trade gives local jobs, and gives a monatary value to the reef (Instand of using lives rock for buildings or polluting sea waters without any concerns, the local realize they can make a sustainable trade of undersea wildlife… and in order to sustain that trade, they need to protect reefs ! Corals can grow very fast and fish reproduce when water conditions are good. You can collect an amount of this life without endangering it. If this life represents an economic ressource, trought tourism and trade, some people will strart fighting to protect it… not for environnemental reasons but economic reasons. When you can make environnement and social and economic concerns meet, that is sustainability ! 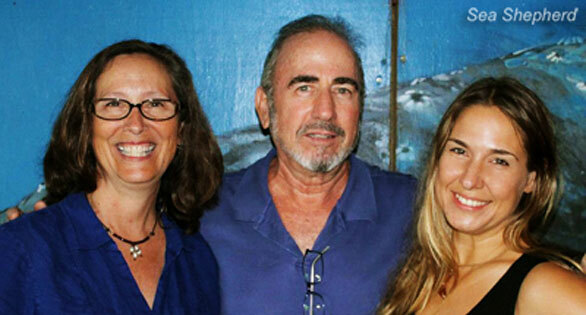 We agree on one thing : we must do a lot to protect reefs ! Abolishing aquarium is just not the good answer ! If we really wanted to fight the bad things that comes out of aquarium trade, we would better put forward the idea of the obligation of having a licence to buy fish and corals… That would be a true step forward. Of all the threats to the world’s reefs, the marine aquarium trade is the only one that I can think of which can be “corrected” without a fundamental and global shift in human perception. We will loose the trade as it exists today–either through legislation or though extinction. It’s just a matter of time. Sea Shepherd had always been on the moral high ground. Of course they are taking issue on the basis of morality. That shouldn’t be a surprise to anyone that knows anything at all about them. Does it matter? Are we really going to debate the Hawaiian fishery issue and “reef defense” while the world is crushed by carbon dioxide and the ever rising and ultimately unsupportable human demand for ocean resources. Really? Sea Shepherd and Joe Blow Reefer have this in common: They both hold tenaciously to their perceptual framework of “how things are”. Both views are equally insane. The result will not be sanity. Of all the threats to the world's reefs, the marine aquarium trade is the only one that I can think of which can be "corrected" without a fundamental and global shift in human perception. We will loose the trade as it exists today--either through legislation or though extinction. It's just a matter of time. Sea Shepherd had always been on the moral high ground. Of course they are taking issue on the basis of morality. That shouldn't be a surprise to anyone that knows anything at all about them. Does it matter? Are we really going to debate the Hawaiian fishery issue and "reef defense" while the world is crushed by carbon dioxide and the ever rising and ultimately unsupportable human demand for ocean resources. Really? Sea Shepherd and Joe Blow Reefer have this in common: They both hold tenaciously to their perceptual framework of "how things are". Both views are equally insane. The result will not be sanity. This comment accidentally marked as spam and deleted, but we caught it in a cache and have added it here: guillaume wrote: I am passionnate by Nature since my youngest days, and this includes undersea life. I was mesmerized by the films of Coustaud and I am concerned with the destruction of natural undersea life. I recognize reefkeeping has become a trend and a huge trade has developped out of it… that’s why there must, for the places endangered, quotas and tight control on the wild collect. But what you cannot understand is that a large part of reefkeepers are concerned with this global issue. Of course, this trade must not endanger the undersea environnement, and that is why there must be some control over trade. But this trade gives local jobs, and gives a monatary value to the reef (Instand of using lives rock for buildings or polluting sea waters without any concerns, the local realize they can make a sustainable trade of undersea wildlife… and in order to sustain that trade, they need to protect reefs ! Corals can grow very fast and fish reproduce when water conditions are good. You can collect an amount of this life without endangering it. If this life represents an economic ressource, trought tourism and trade, some people will strart fighting to protect it… not for environnemental reasons but economic reasons. When you can make environnement and social and economic concerns meet, that is sustainability ! We agree on one thing : we must do a lot to protect reefs ! Abolishing aquarium is just not the good answer ! The imporant is to fight against : - global warming - acidification of oceans - pollution of seawater - destruction of reefs by urban developpement - overfishing (including species that are collected for aquarium trade) If we really wanted to fight the bad things that comes out of aquarium trade, we would better put forward the idea of the obligation of having a licence to buy fish and corals… That would be a true step forward.